Simply clicking the orange star icon in the top right corner of the page launches a theme chooser. I selected the Northern Cal theme for its hills and greenery. 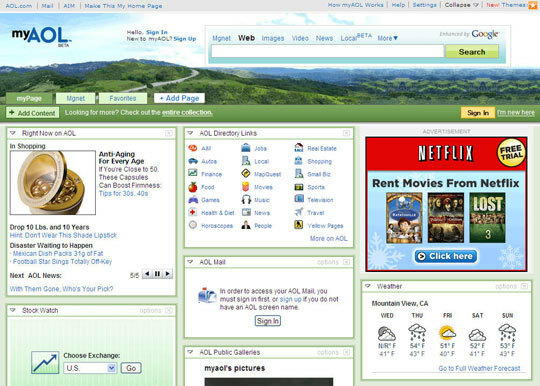 More themes should be added soon according to the myAOL blog for more details.